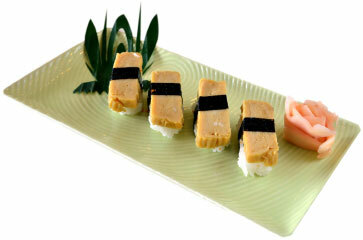 Sushi is a highly specialized component of Japanese cuisine that is as much artistry as it is cooking. Professional sushi chefs require specialized training that stands alone, or augments general culinary arts education. Sushi has become a mainstream feature at restaurants andsupermarkets, where it may be prepared on site by grocery store sushi chefs. Aspire to train as a sushi chef? This highly stylized food form is quite elementary when it comes to ingredients. If you’ve ever sat at a sushi counter, then you’ve probably watched skilled sushi chefs create colorful dishes from a relatively sparse pool of simple ingredients. Remember, this culinary art form is in high demand - no longer relegated to obscure California specialty restaurants, where sushi first gained notoriety in this country. Today’s professional sushi chefs are drawn from all backgrounds and ethnicities. The vocation is no longer limited to skilled practitioners fresh from Japan. Seek out a formal sushi chef academy—there are a few good schools stateside, and international opportunities exist in Asian countries. The number of educators is growing alongside the demand for experienced professional sushi masters. Pursue a traditional culinary arts degree, followed by professional courses in Asian cuisine and sushi arts. Creativity to assist with menu creation. Salaries for sushi chefs fall across a wide range of earning potential, depending on a set of keyconditions. Highly skilled sushi chefs command higher salaries, which are commensurate with their particular mastery of this intricate, specialized culinary art form. Expect to start your career with an hourly wage similar to that of a linecook. Refine your abilities up to master chef level, in order to draw a high salary. California Sushi Academy - Los Angeles The most comprehensive option here is the intensive 12-week sushi chef training program that centers on masterful production of rolls, nigiri, sushi and sashimi. Japanese culture is embraced across a curriculum that also emphasizes food safety, sanitation and procuring sushi grade ingredients. Sake tasting and other exposure to ancillary Japanese preparations round out coursework that also touches on management principles. A five-day intensive mode of study is also preparatory for work as a professional sushi chef, and offers the perfect specialized compliment to your general Culinary Arts Degree.